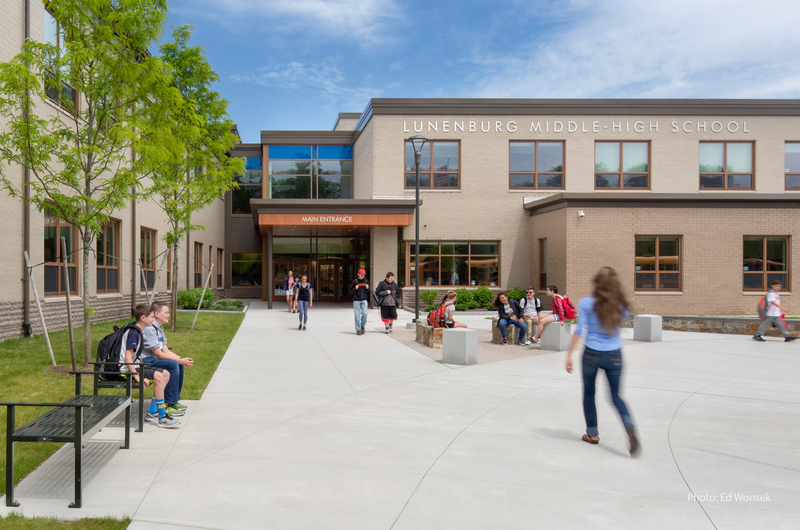 Lunenburg Middle/High School was a new construction project completed in 2016. 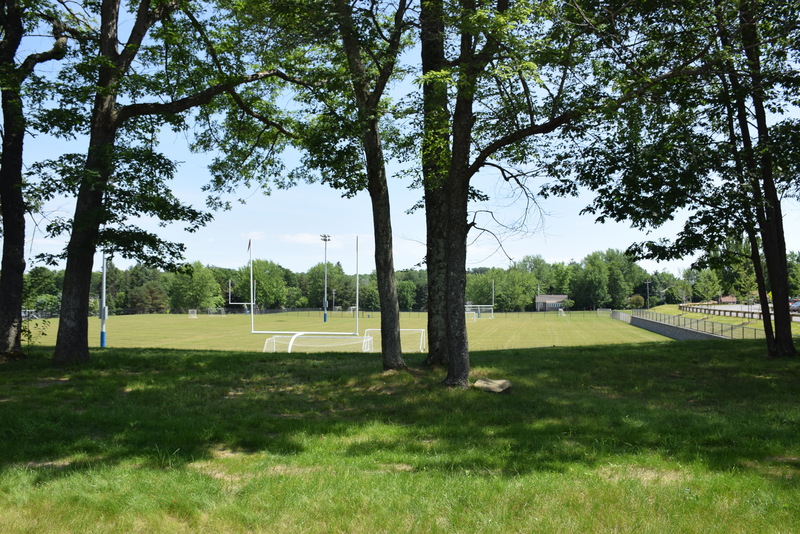 The new building was sited adjacent the existing school which was ultimately demolished to make room for new irrigated and lighted sports fields including their varsity football field with spectator seating and press box. 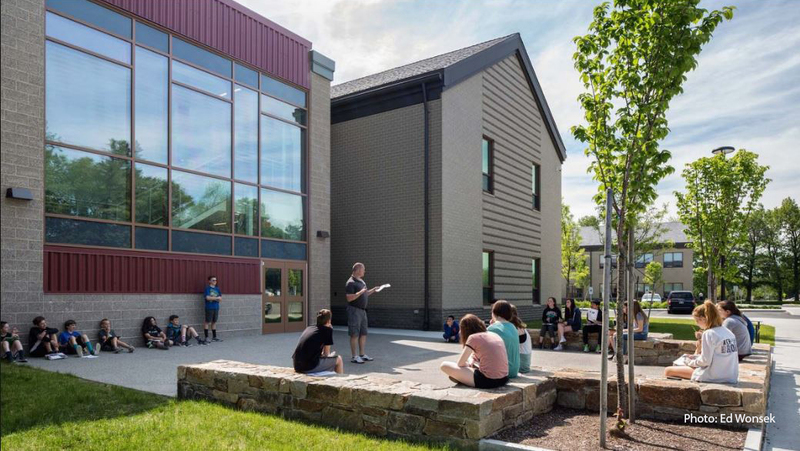 Existing mature trees were preserved in the design to enhance the aesthetic of the rural community character and small-town feel which is supported by maintaining the visual connection to Main Street. 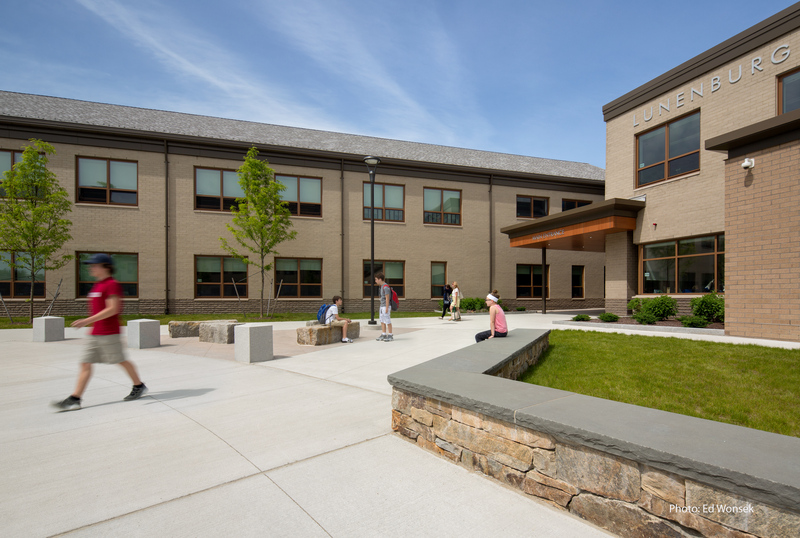 Pedestrian connections were enhanced to allow for better access to town facilities. 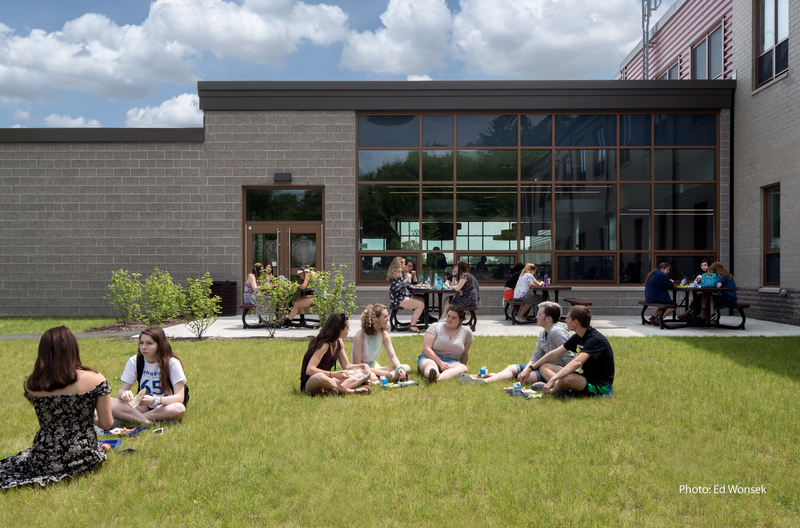 An outdoor classroom and various outdoor spaces were included for teacher and student use. 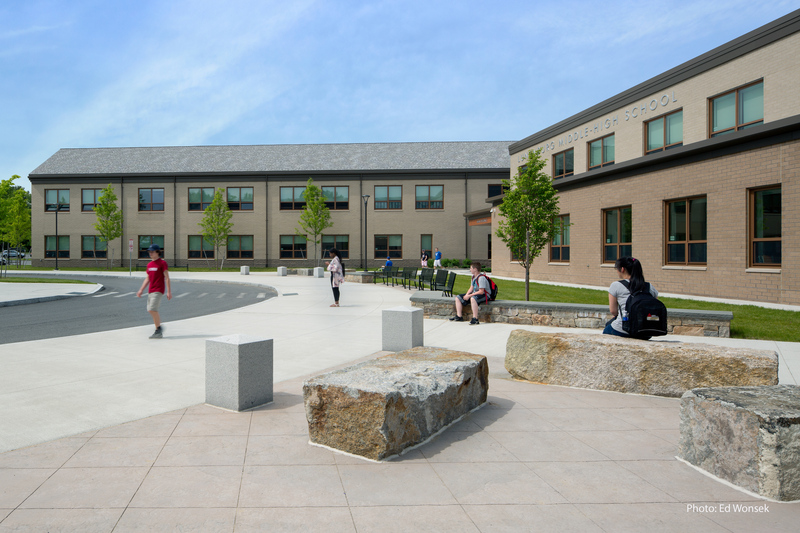 Various paving materials were utilized to create unique identities in each outdoor space. 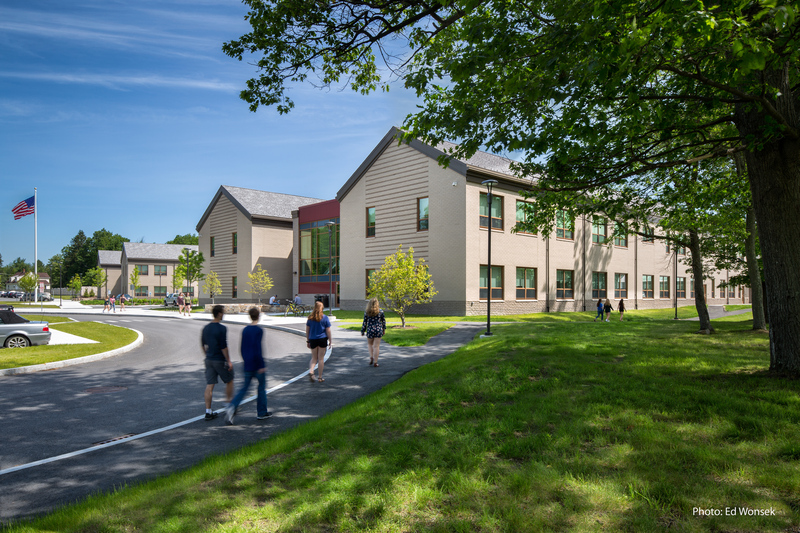 The traffic flow was overhauled to allow for the new facilities’ drop off and parking patterns to function in an ideal orientation. To minimize the visual impact of parking, lots were dispersed into smaller segments throughout the site. 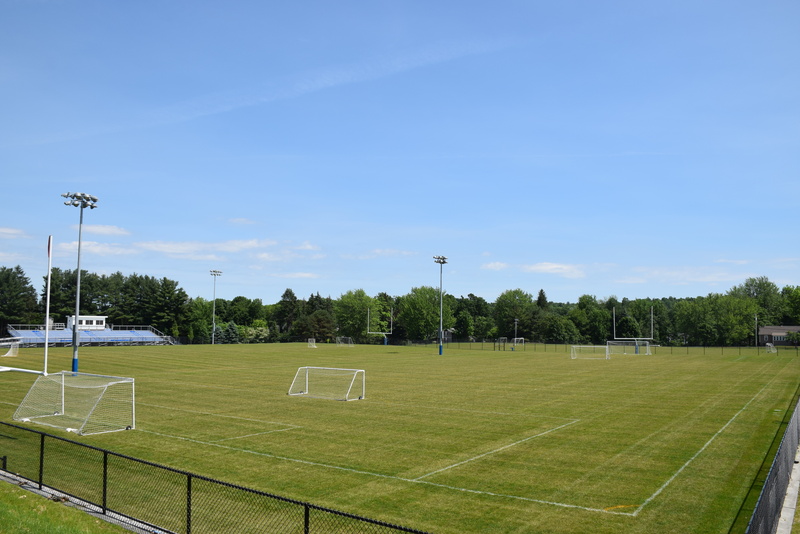 The athletic scope of the project included 4 full-size multipurpose sports fields- 1 synthetic turf with 6 lane track and three irrigated natural grass fields. 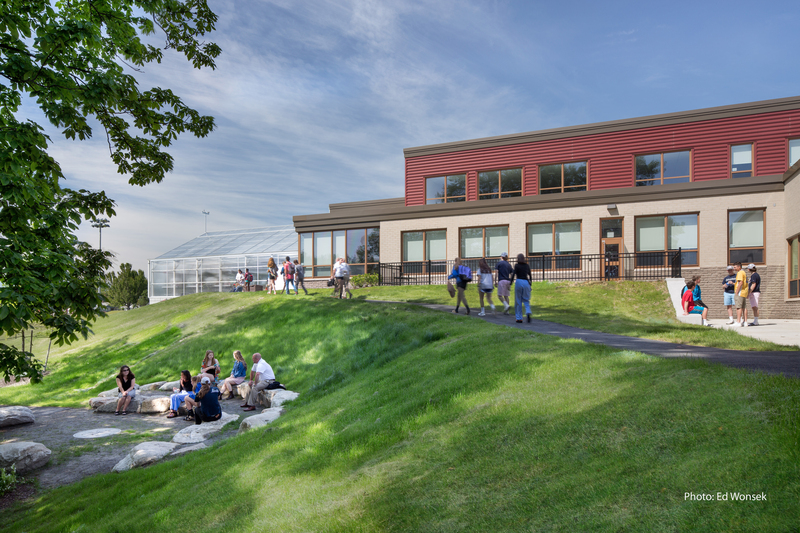 Additionally, 4 tennis courts and a basketball court were designed and installed for this project. 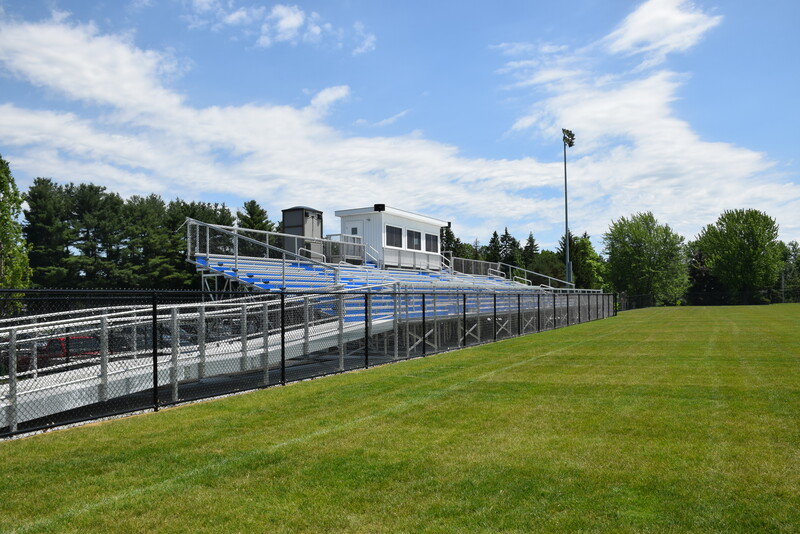 The ADA compliant aluminum grandstands have a capacity of over 600.